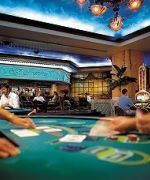 Aruba Casinos - Try your luck! Many choose Aruba as their vacation paradise specifically because of their love for glitzy and glamorous casinos! You can spend so much time in the lavishly appointed casinos, it can be hard to tell the difference between night and day! A few casinos are open 24 hours a day. 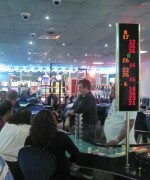 In general, opening hours are 12 noon for slots and 4 pm through early morning for table games. Hours vary seasonally, so please check before making plans. No one under 18 is allowed in the casinos. All gaming in the Aruba casinos is done with US currency. The slots use either US coins or tokens of the same value depending on the casino. Many machines will accept your paper US currency directly. There are nickel slots at all the casinos and some also have penney machines. Sports betting is available at many of the casinos. Do not expect slots payouts like Nevada or New Jersey, the machines in Aruba are very tight! 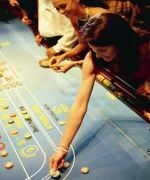 Table minimums vary depending on the casino, the craps tables, for example are $5 at some casinos and $10 at others. 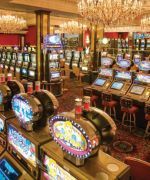 The Alhambra proudly boasts over twenty years of consistent ownership and tradition combined with over 300 state-of-the-art slot machines, a wide range of table games. The complimentary beverage and variety of live bands and big-screen plasma TVs promise hours of pure fun. Enjoy any of the Casablanca Casino's newly installed slot machines featuring a variety of models and coin denominations to please every player. 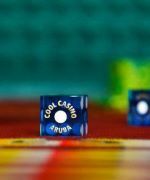 Cool Casino was designed with every player in mind. Whether you're a seasoned card player, a roulette wonder or a casual slot machine marvel, it's all here! Come in today and find the most courteous staff! The thrill of a winning hand, the cheer heard along with clanging of a slot machine payout - it's all part of the experience at Copacabana Casino. Join in the fun of the "Carnival in Rio" celebration, where you can enjoy live music Tuesday through Sunday, dancing and a never-ending party. 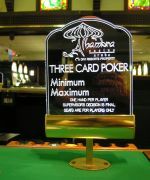 The proven recipe for the best action in town is the combination Crystal Casino and Seaport Casino. 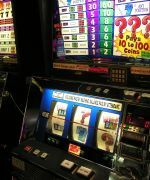 The newest slot machines, combined with the biggest table bank roll on Aruba, fewer manual shuffles per hour, more hands per shoe and regular cut, make this casino a sure bet. 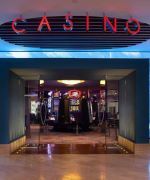 in existence for 30 years, Excelsior Casino features Las Vegas-style gambling on all games of chance and a beautiful sports betting area and poker room. 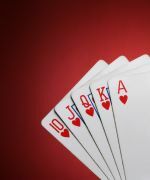 Try your luck at Blackjack, Craps, Roulette, 7-Card Stud, 3 Card Poker, Texas Hold'em or Bingo, or at all types of state-of-the-art slot machines with new TITO (ticket in ticket out) system. The Casino at the Radisson Aruba's 16,000-square-foot gaming floor has more than 200 slot machines that ring into the early morning. The starlit theme creates a glittering atmosphere that makes anything seem possible. For dazzling shows, dancing and gaming, visit our casino. Hot Slots, Gaming Tables, Nightly Dinner & Shows, Top Entertainment, Poker Tournaments, Thursday's Free Slot Tournament, Friday's Raffles. All the most sizzling games - with equally sizzling payouts - are here. In the denominations you want most. Experience the ultimate in slot satisfaction with the ease and convenience of ticket-in ticket-out technology. Glitz Casino also features an all new Entertainment venue for Aruba, The Liquid Lounge, with a sunken bar and a state of the art sound system with lighting to suit every mood. Glitz Casino is also the only casino on Aruba to feature the premium Belgian beer Stella Artois beer as their house brand. The lighted ceiling is synchronized to the music and it dances to every beat. The bar offers 12 multi game slot machines with video slots, video poker, video Keno and video Blackjack. Play from 5¢ to $5 and on some poker slot machines Glitz offers the only bar-top progressive on the island.